This is one recipe that is surely going to bring nostalgic memories to at least a few malayalees. Most of the homes in Kerala used to prepare adamanga during the mango season so that it could be relished upon even when the season was over. Once the best mangoes are pickled, the next thing that people did was drying of raw mango slices, which is fondly called adamanga. Raw mangoes are sliced with their peels on, mixed with salt, chilly powder(optional) and dried in the sun for about 10 -12 days. They can be preserved for at least 2 years or so. You can make pickle with them whenever you want. It’s taste is completely different from the regular mango pickles and it goes best with steamed rice and curd. 1. Wash the adamanga pieces and drain well. In a pan heat 1 tbsp gingely oil. Splutter mustards and fry dry red chilly. Add the garlic and curry leaves, if you are using them. Brown the garlic flakes. 2. Add chilly powder, fenugreek powder and hing. Add about 2 cups of water immediately. Bring it to a boil and add the adamanga pieces. Cook the adamanga pieces in the gravy for around 30 – 45 minutes until they become really soft. The spice powders should really coat the adamanga pieces (pirandirikkanam). Check for salt and add if required. Switch off the stove. Cool down and transfer to a pickle jar. Enjoy it with curd rice or plain steamed rice. Remember to use a clean and dry spoon every time you take out pickle from the jar. i have some adamanga at home. yesterday i was thinking abt calling home to ask for the recipe..and now there it is…. YUmmm!! tongue tickling pickle, truly makes me drool.. This just makes my mouth water! We used to love eating this with tomato sambar and rice…looks so delicious. mango pickle looks irresistible..feel like tasting some now..slurpp! Mouthwatering pickle. I would love to have it with Thayir Saadam! Mouthwatering pickle..so good, feel like tasting some right now. njan acharu kazhikkilla.. 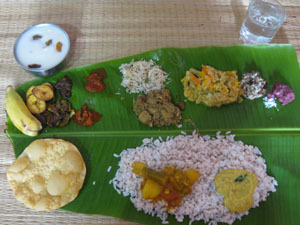 But ethu kaanan perfect aayittunde..
Ethu njan kazhichittee ella.pakshey taste eniku feel cheyyunudu.vayil kappalodichu kazhinju :)korachu parcel cheyyan kanumo?Eghanethe nadan dishes oke eniyum poratte.Adipoli.Great job! looks so yummy. my mouth is watering here…i can sail a boat in it..lovely clicks.. I made the sesame cookies yesterday and they came out very well. I gave my boss today and she said its the best ever cookies she had eaten.I reduced the quantity of sugar because i like it less sweet. But the cookies turned out to be super duper hit. I will surely do it many more times. Today evening I will pass it on to some of my friends in the play ground. Will see how they react..
that looks so tempting and mouth watering! Adamanga achar adipoli….ethokke thanne thaan engane undakki kazhicholu tto…Aa chorinte koode eeshwara ravile tahnne kothy sahikan vayya.. I am drooling over this pickle it looks wonderfully tasty. Thank you all for your sweet words :). Thank you so much for trying it out dear. And thanks a bunch for your kind and encouraging words. Hope your friends will like it :). I just had a doubt regarding the volume of water used. Did you use a standard measuring cup or a small cup for the water. Also if I want to double the recipe, should i just double the volume of water or is there any ratio. Please let me know.